A DERELICT retirement village in Brisbane’s east has gone up in flames. Emergency services were advised of a fire at the Salvin Park Blue Care Nursing Home at Carina Heights about 9pm Saturday. A Queensland Fire and Emergency Service spokesman said flames were “through the roof and well alight” when they arrived at the Creek Rd property. The blaze was contained at about 11.15pm, however fire crews stayed overnight as a precaution. A Queensland Police Service spokesman said it was not being treated as arson. The complex was built in 1963 but closed in 2014. 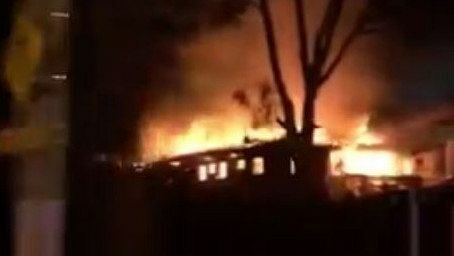 Earlier: An abandoned retirement village in Brisbane’s east has gone up in flames with multiple fire crews responding. Emergency services were advised of a fire at the Salvin Park Blue Care Nursing Home at Carina Heights about 9pm on the 20th of January. Paramedics were on standby but there were no reports of anyone being on the property.